After a while it starts to become uncomfortable. The person feels sad for you, or disgusted that you don’t look for real work. But luckily I had no other skills, so I didn’t have to wonder Should I have been a stockbroker? A firefighter? A ballerina? I write, I edit, I teach, and anything else I do at the risk of some peril to mankind. Even cooking is dangerous for me. I often don’t remember I’ve got something on the stove until the smoke detector goes off. So I kept plugging away. 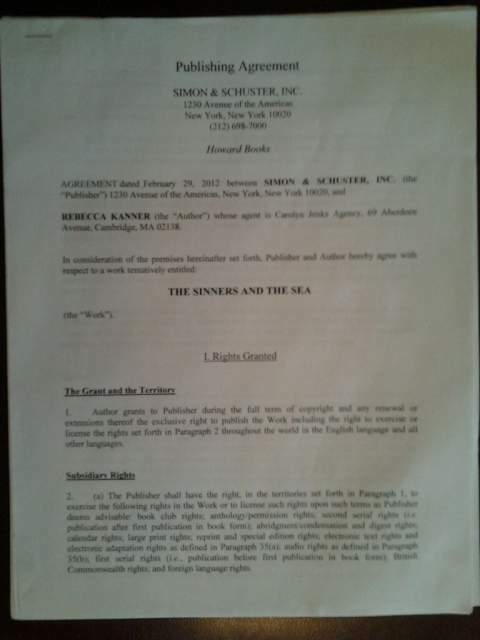 By a string of what I thought was bad luck (the subject of a future post), I was able to finish my novel and get a good publication contract. I’ll talk more in depth about my journey to publication and my writing process in future posts. But for today I’ll just say that I’m grateful to be a jack of few trades, mistress of one. This entry was posted in Uncategorized and tagged career, novelist, publication, publishing contract, writing life by Rebecca Kanner. Bookmark the permalink. Stay “unemployed”, keep writing posts. No “just” about it. My mother was a translator for many years. She translated French, Spanish and Portuguese. Unfortunately I didn’t inherit her ability with languages. Hmmm… or maybe fortunately. I’d hate to mess up my mistress of one status, after all 😉 What is your mother tongue? I see that Britain has a population of just a bit over 77 million, but I wouldn’t think a lot of translation would be needed from English to proper English. Are you from Turkey?